How would you rate your experience with Uncommon Goods ? In 1999 David Bolotsky visited the Smithsonian Museum craft show and marveled at the unique, handmade goods on display. He believed that there was a great demand for such items while recognizing that many artists traveled great distances to sell their wares. This led to the creation of Uncommon Goods. Bolotsky began by traveling and purchasing items he found at arts and craft shows, then listing and selling them. The demand became so great that he soon outgrew his apartment for business use. The company offers environmentally sustainable, handmade or minimally machined items online. 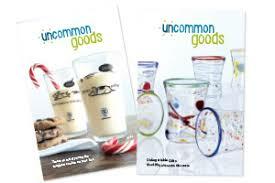 Uncommon Goods also publishes catalogs, often suggesting gift ideas or products that compliment each other. Amazon is the company’s main competition, but Bolotsky believes that his superior selection of items, faster shipping, and customer service will win customer’s over. Amazon, as Bolotsky notes, does not do catalogs, something many people still find appealing. Uncommon Goods is also known for being a “B” company, as well as paying higher than required wages. Employees who feel good about their jobs do better at their jobs is the motto at this ecommerce retailer. Headquarters for Uncommon Goods is located in Brooklyn, New York. Question 1: What is the phone number for Uncommon Goods? Answer 1: The phone number for Uncommon Goods is (718) 210-1187. Question 2: Who is the CEO of Uncommon Goods? Answer 2: The CEO of Uncommon Goods is Dave Bolotsky. 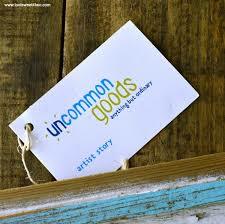 Question 3: Who founded Uncommon Goods? Answer 3: Uncommon Goods was founded by Dave Bolotsky in 1999. 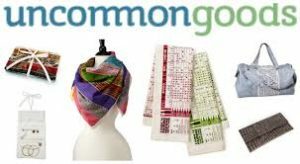 Want to make sure Uncommon Goods sees your comment or complaint?